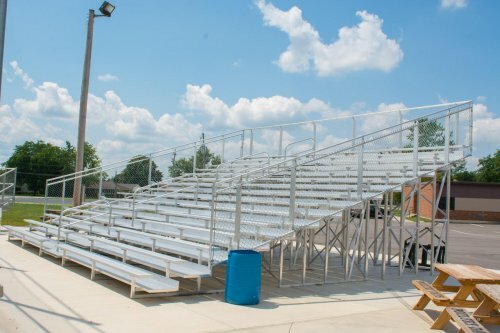 It doesn’t matter whether you’ve been tasked with creating a spectator area for a Little League team or you need seating for thousands in a sports complex, we’ve got the portable bleacher solutions you’re after. 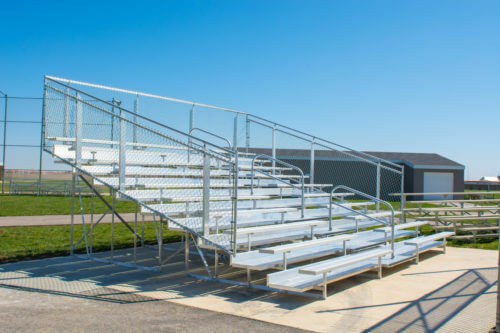 Our portable aluminum bleachers provide you with a variety of choices in styles and seating capacity while never skimping on the quality and safety features you demand. 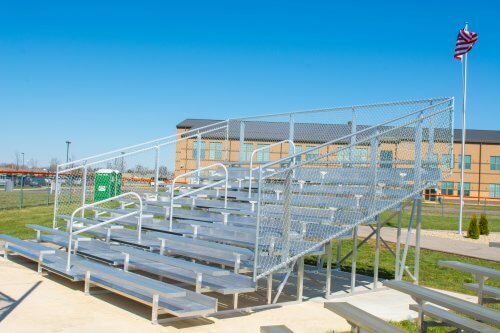 SightlinesBleachers.com specializes in providing the solutions special events managers, park operators and school athletic teams require. We bring more than 30 years experience to the table and only provide our customers access to the finest made, safety conscious products available. 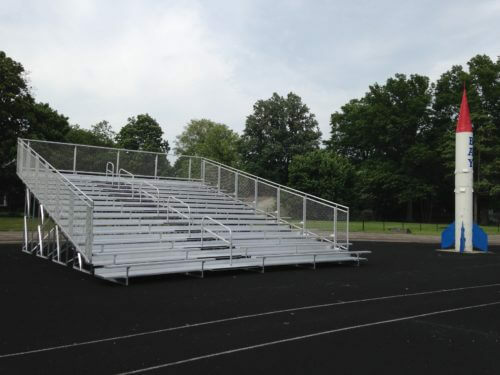 We are fully committed to delivering outdoor bleachers and indoor designs that are completely IBC Code compliant. Our pricing is set to deliver a competitive edge, too. 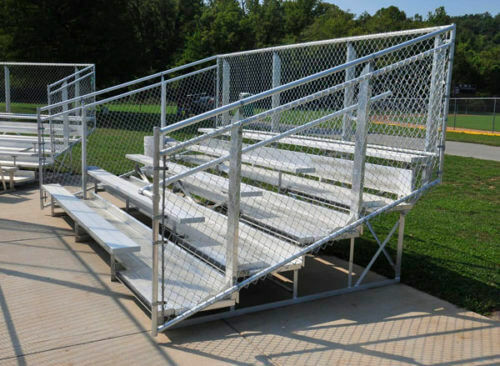 Small installations – Our five-row portable aluminum bleachers provide a wide selection of seating capacities. From models designed to hold up to 42 people to those meant for a capacity of 94, we have it all. 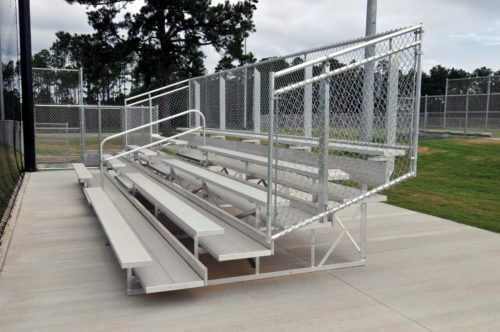 These bleachers are fully IBC compliant and even offer security fencing in a five-row design. These smaller, more intimate models are perfect for reasonably small crowds and are set with pricing that goes easy on organization budgets. Medium installations – When there’s a call for more seating, our product line delivers. 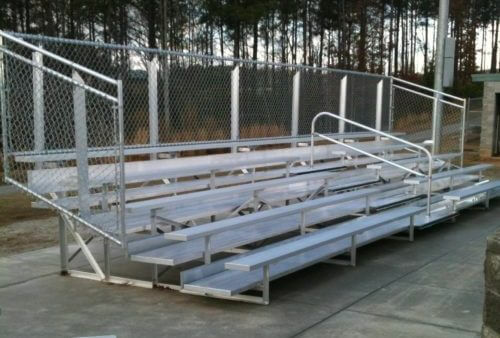 Our ten-row portable aluminum bleachers can hold between 94 and 184 people, depending on the model selected. Security features are prominent in all of these designs, including end and rear fencing to prevent fall accidents. Our rugged aluminum designs are perfect for all kinds of weather and provide the durability you need to ensure years of use. Large installations – When special events really draw in the crowds, portable aluminum bleachers must be in place to handle the influx. Our 15-row designs offer the capacity large operations demand. These IBC Code compliant designs seat between 154 people to 274 in a single unit. Fifteen-row designs also offer fans the elevations they need to really spy the action on the field. Security fencing is also a part of these designs. 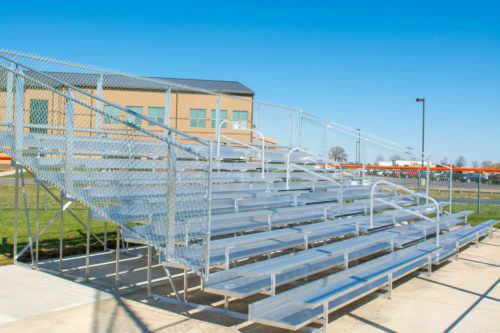 When you’re trying to put together the seating arrangements for small to large complexes, our outdoor portable aluminum bleachers deliver the quality, durability and security features you demand at prices that are highly competitive. There’s no reason to cut corners on quality when SightlinesBleachers.com offers the products you need at budget-sparing pricing. 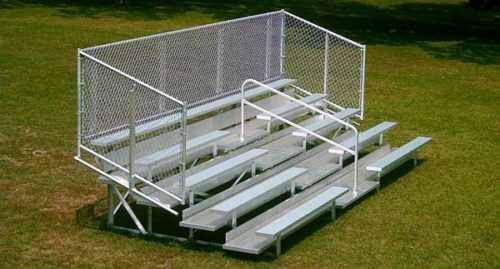 As you shop for portable aluminum bleachers, make sure to check out our related products. We also offer aluminum benches for players, aluminum picnic tables and much more. If you’re ready to order aluminum bleachers, we’re your one-stop source. Just select the units you need and order online for fast delivery to your location. If you have any questions about our products or wish to order over the phone, call us directly at 1-800-609-1545.